Congress President Not Happy with his Social Media Team? Congress is trying to pick up on social media to counter propaganda of other parties and also to build up image of the party leaders. During the recent visit of President of party, to London, Berlin and other places, the responsibility to build up an image is high. It was entrusted to the team headed by ex actress Ms Divya. She is working hard to take the challenge, but only one tweet during the visit has made a lot difference and Rahul Gandhi had to intervene to ensure rapprochement. 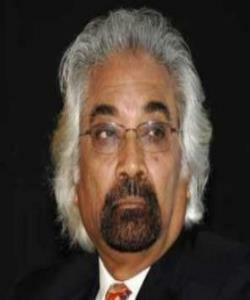 Sam Pitroda, person to organise and manage the tour was unhappy with a tweet of Ms Divya carrying one photo of the President. Back in country also BJP started making jokes on some photographs. Sources say, a set of photos are being used depending upon situations, but wrongly some photos were posted by the team of Ms Divya. Differences became so intense that Rahul was forced to say that suggestion should be honoured. Sources say, since then Chief of the team is disturbed.